The Easy Align frame is a unique screen protection system which delivers accurate but quick and easy application and alignment. 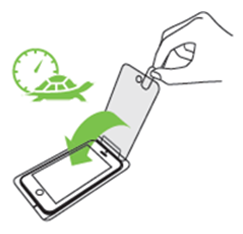 The Belkin ScreenForce® InvisiGlass™ Ultra Screen Protectors are also made up of Corning® Glass which has chemical strength that is able to resist deep scratches causing a glass to break. 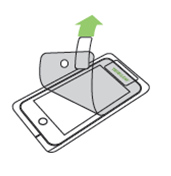 With the Easy Align frame technology, putting your screen protector on your phone becomes effortless and easy to master. Follow the instructions below to learn how. 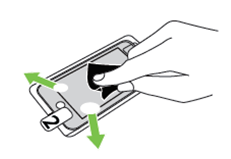 Wipe your phone's screen with the microfiber cloth and remove any remaining dust with the dust removal sticker. Remove the Easy Align frame from the packaging. Put the phone into the frame making sure that the back of the phone is flat. While holding the number 2 tab, remove the bottom lining with the number 1 tab. 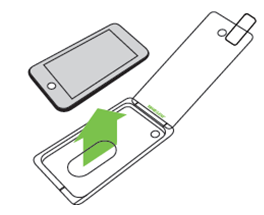 Slowly lower the protector on to the screen from top to bottom. QUICK TIP: You can lift and reapply the film as needed when bubbles appear. Use the Microfiber cloth to push out any air bubbles. 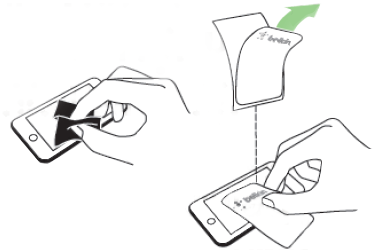 If satisfied with the output, remove the top lining using the number 2 tab. NOTE: Peel gently so as to not accidentally pull up the film when you remove the top lining. 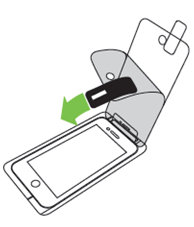 Remove phone from the Easy Align frame. 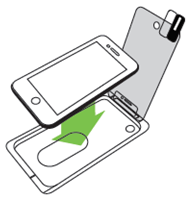 You have successfully installed your Belkin ScreenForce® InvisiGlass™ Ultra Screen Protector.